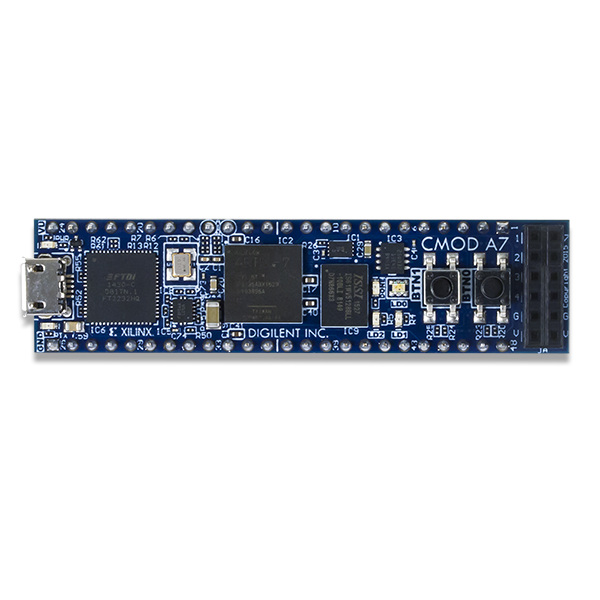 The Digilent Cmod A7 is a small, 48-pin DIP form factor board built around a Xilinx Artix 7 FPGA. 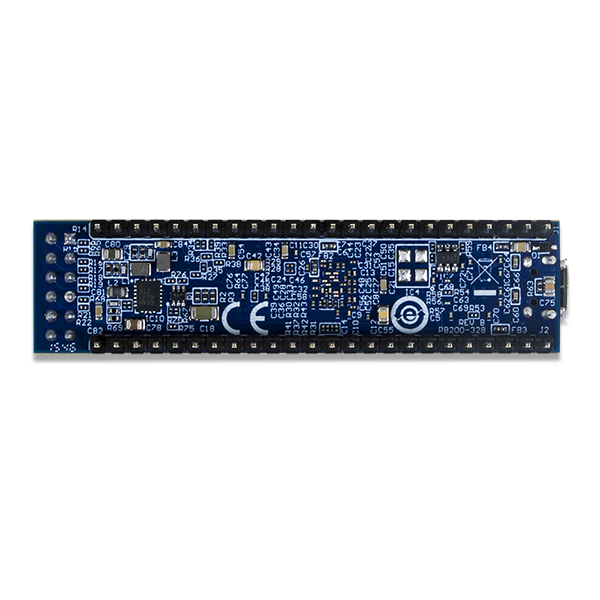 The board also includes a USB-JTAG programming circuit, USB-UART bridge, clock source, Pmod host connector, SRAM, Quad SPI Flash, and basic I/O devices. These components make it a formidable, albeit compact, platform for digital logic circuits and Microblaze embedded softcore processor designs alike. There are 44 Digital FPGA I/O signals and 2 FPGA Analog inputs that are routed to 100-mil-spaced through-hole pins so that you can integrate your programmable logic design directly into a solderless breadboard circuit. 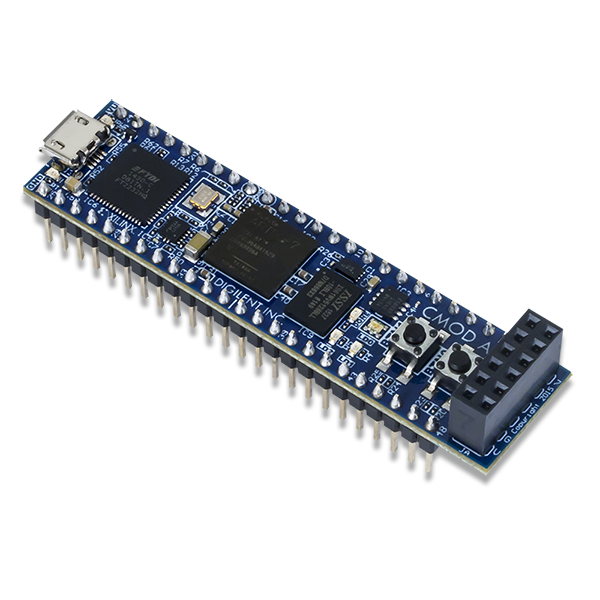 At just .7” by 2.75” inches, it can also be loaded in a standard socket and used in embedded systems.